New generation display technology,safe environmental protection eye handwriting,environmental protection. It's suitable for kids writing, drawing, office memo board,and using as a comunication tool. Built in screen lock button,easy to keep your important message/note/drawing etc, avoiding accidentally erased while you writing. Mouse pad and measurement scale on the background. Built in durable and replaceable battery, easy to be replaceable, support to work more than 100,000 times. 1.Normally one button clear all thing. Please press many times and press harder if it can't be clear,or change battery. 2.Do not let board soak in any liquid. 3.Do not draw on the LCD area with sharp objects. 4.Please use clean cloth to wipe clean. 5.Screen unable to show clear in dark room. 6.The screen might got tiny scratches after use a long time. 7.Writing tablet can't connect to computer and can't save images. the battery will be activated again,plug in the battery slot (negative electrode direction upwards),then it will work again. 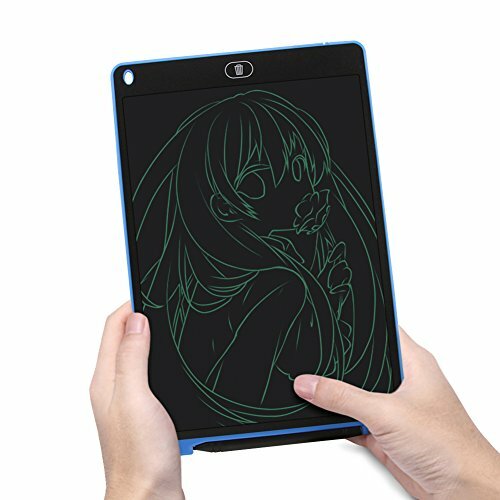 Environmental Protection: You don't need to waste papers, pencils or erasers anymore, one writing tablet can save 100,000 pcs paper; inside battery can be used at least 6 months, very low energy consumption. If you have any questions about this product by Usbkingdom, contact us by completing and submitting the form below. If you are looking for a specif part number, please include it with your message.